Eurostar, the high-speed rail service, has launched its above-the-line campaign showcasing its new fleet, following an initial Instagram teaser. The films created by AKQA allow the viewer to peer into a window on the train and highlights the different features of the trains such as the service and the strong Wi-Fi connection. There are four digital spots, each showing a person making use of one of the features the new trains offer and shows their world, be it the great surroundings or the a businesswoman getting on with her work. IProspect worked on the media planning and buying. At the end of March, Eurostar unveiled the new trains on Instagram with work produced by AKQA with an animation and images also showing off the features on the trains. 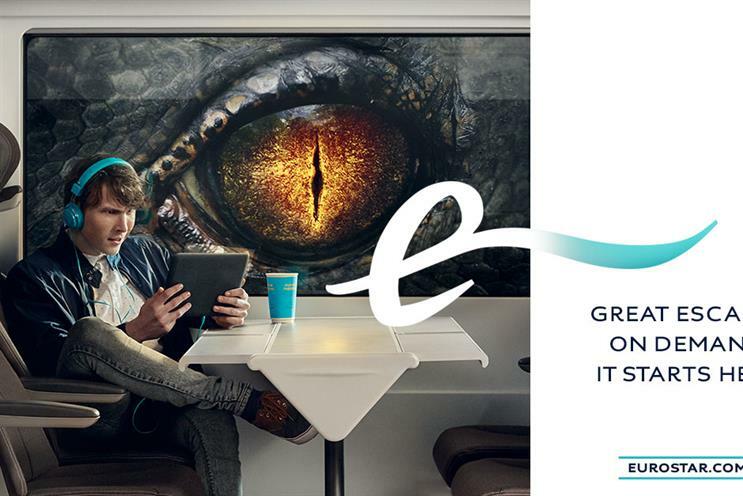 Lionel Benbassat, head of marketing and brand at Eurostar, said: "With the launch of our new trains, we’ve created a campaign that brings to life the on board experience. "By playing on each of the new features and overall benefits of the Eurostar service in an engaging video format, we are inviting travellers to explore the new trains."